Happy Friday friends! It’s been another long week! I’ve been helping out with nieces this week, shooting new content, and working on our bathroom reno. We are going back to my hometown this weekend to see a dear family friend. The weekend will also be filled with other fun things like cleaning the carpet and patching holes in the wall from our gallery wall to make way for some new, more modern decor. One thing that is exciting is this warmer weather! That means no more of me having to change my clothes in the back of a car for shoots when it’s 12 degrees out! I’ve gathered together some of this weeks favorite’s for you down below! 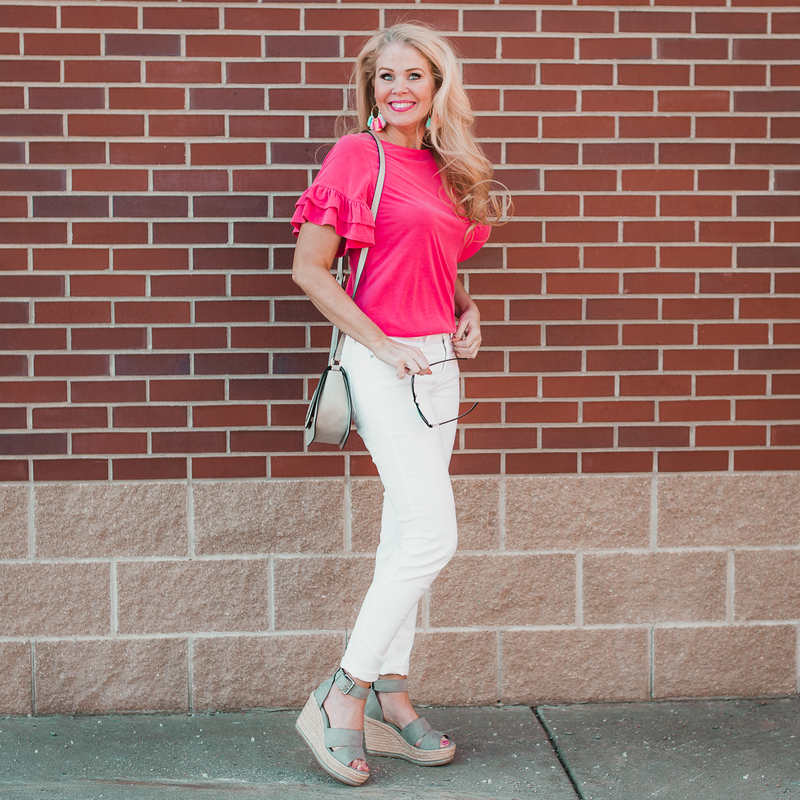 This super soft ruffled top is one of my new favorites! It comes in eight pretty colors, and can you believe it’s less than $12? I’m definitely going to have to pick up another color! 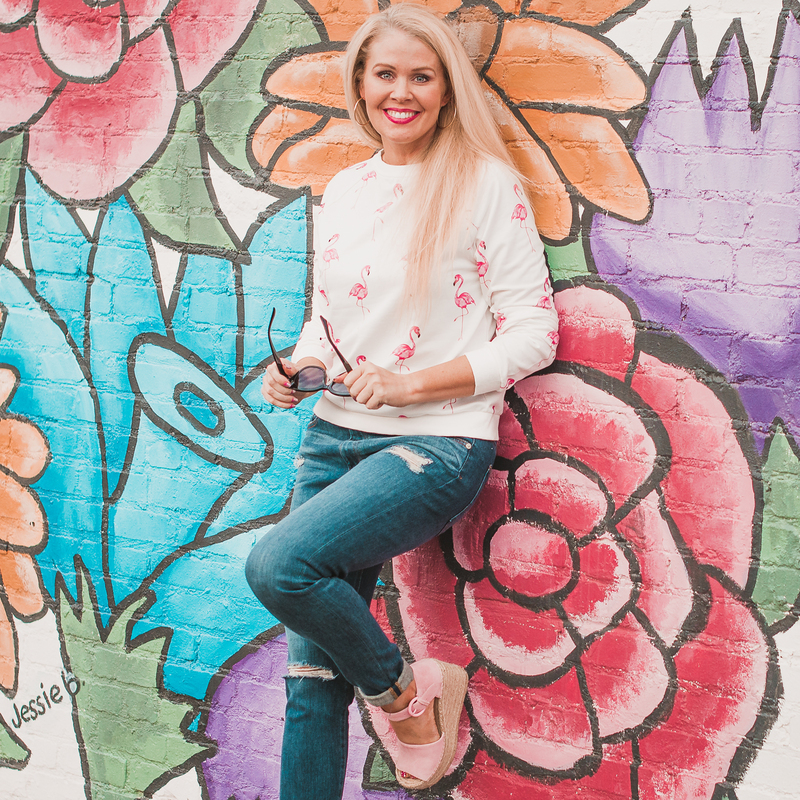 If you are looking for some great fitting, non see-through white jeans this pair is a winner! These earrings are so darn cute and less than $9! 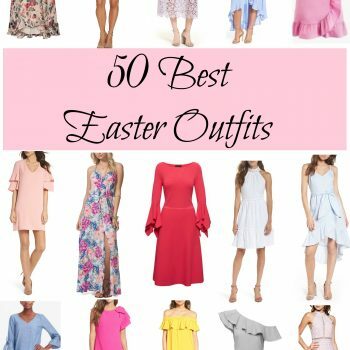 They have some gorgeous spring colors in them, so they will go with almost anything! 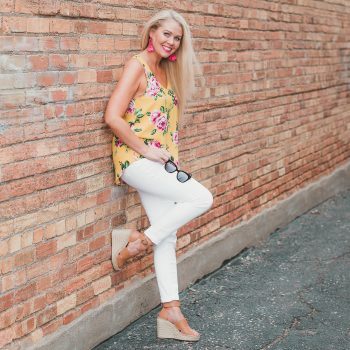 These adorable and comfy wedges are a Nordstrom knock off. They run true to size,come in blush also and are less than $35! What screams summer more than flamingos? This Amazon find is so fun but runs very small. I’m usually a small in tops but got a large in this one. I’ve paired it with my favorite buttery soft distressed jeans that are also affordable. If you are between sizes, size down as they have some stretch to them. These pink wedges are from last year, but they have just released them again. These are more of an investment but the comfort factor is off the charts. I wear them all of the time and will for years, so in the end they were worth it. They also come in a ton of other colors. 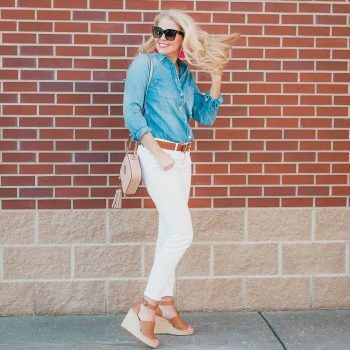 What’s more classic than a chambray button up top and some fresh white jeans? The chambray top runs a little small, so I would size up one. I’ve paired it with my favorite Hermes dupe belt that I’ve been wearing on repeat lately. I was surprised at the quality of it, and it even comes with a hole punch so you can make extra holes if you need them. I got the size 30-32, even though I wear a 28 in jeans. I am also wearing my favorite new wedges. 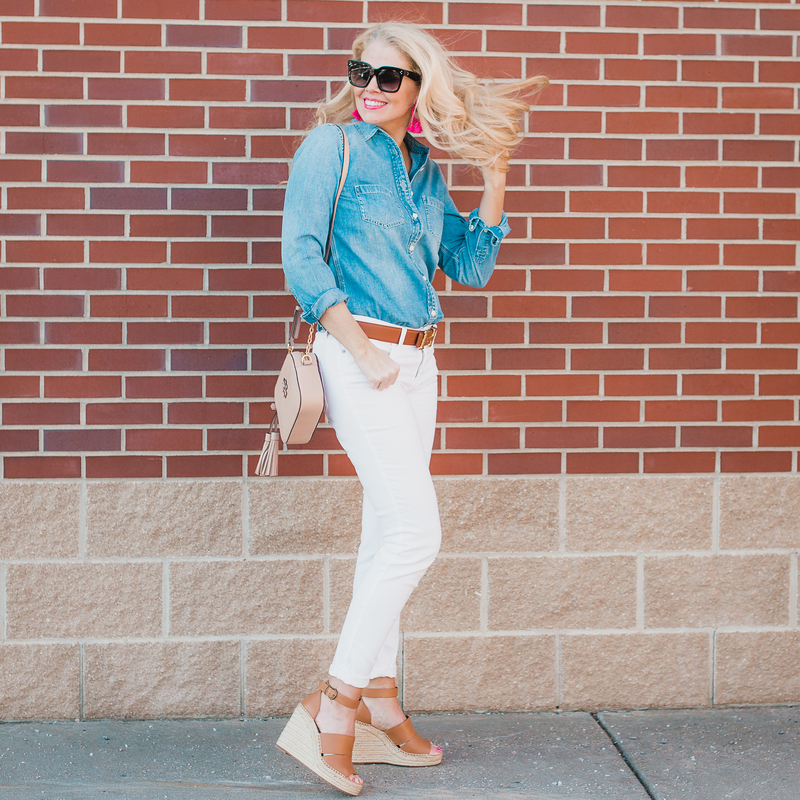 These Treasure & Bond wedges are so incredibly comfortable! The first day I got them I wore them all day and not a single blister! They run true to size and are selling out fast. They are such a great neutral as they go with everything! I’m always on the hunt for the perfect little black dress, and I found it in this one. It fits the body perfectly without being too tight, it covers the upper arm (an area most of us over 40 no longer love) and is the perfect length. 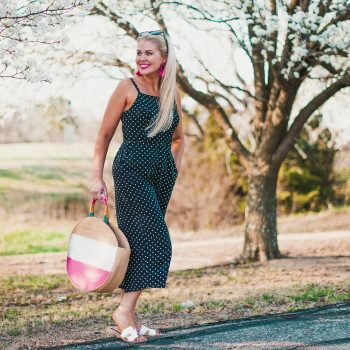 This dress is perfect year round and can be worn to the office, a wedding or even a high school reunion! I got my normal size in it.